As per the Companies Act 2013, a company form of business is a separate legal entity. All types of companies are supposed to fulfil certain legal compliance on yearly basis. These are collectively called Annual compliance of private limited company or RoC filing. However, recently the Ministry of Corporate Affairs has introduced a new one-time mandatory compliance for all the companies. MCA has introduced a new form DPT-3 for all those companies that have taken loans but not considered as deposits. #1. What is Form DPT-3? Basically, DPT-3 is a one time return of outstanding receipts of money or loans taken by a company that it has not considered as deposits. 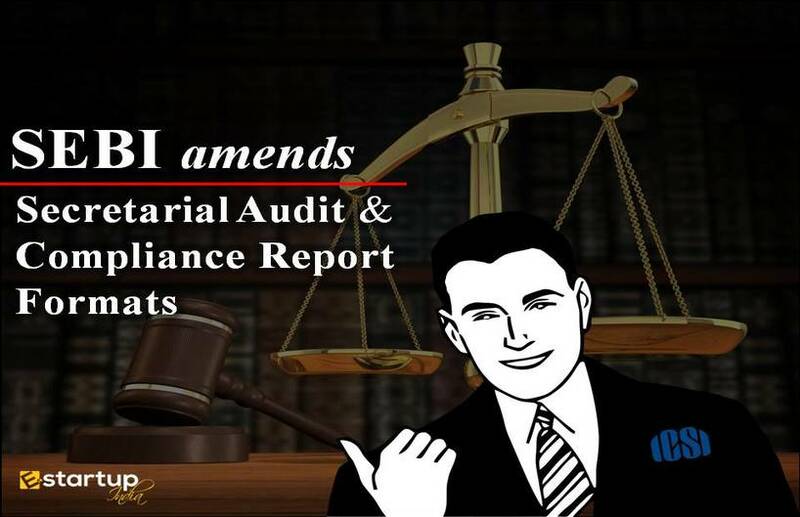 As per the new MCA guideline, all companies except Government Company shall file a single time return of the outstanding receipt of money, herein referred to as loan by a company but are not treated as deposits. #2. How did the Form DPT-3 come into being? Recently on 22nd January 2019, the Ministry of Corporate Affairs came up with a new amendment in the Companies (Acceptance of Deposits), Rules, 2014. A new sub-rule is added, wherein every company (other than government companies) has to file a onetime return of Loans by a Company not treated as deposits, herein referred to as e form DPT-3. The following questions will serve as important FAQs with respect to form DPT-3 as prescribed by the Companies (Acceptance of Deposits) Amendment Rules, 2019. #3. 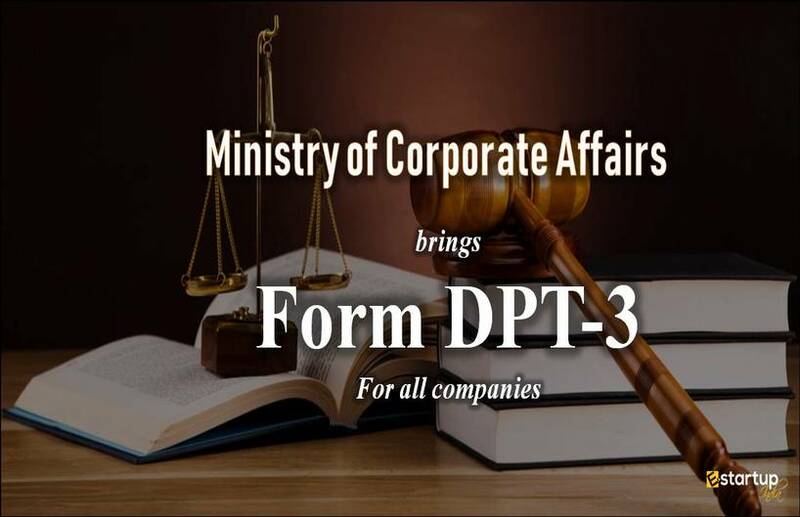 Whether Form DPT-3 applicable to all companies? All Companies except Government Companies have to file a return of loans by a company not considered as deposits. The form DPT-3 will include details of all loans pertaining from 1st April 2014 to the date when this notification was official published, i.e. 22nd January 2019. This return shall be called e-form DPT-3 that has to file within 90 days from of publication of the government notification. #5. Which all companies shall file e-form DPT-3? All types of Companies, whether Private limited, Public limited and OPCs, except the Government Companies, have to file DPT-3. Hence, for the year it will be a part of the Annual compliance of private limited company. #6. What is form DPT-3 filing due date? The Deadline for Filing e-form DPT-3 is 22nd April 2019. As per MCA notification, the form has to be filed within 90 days of publication of notification. So, 22nd January, 2019 + <90 days> = 22nd April, 2019. #7. What in case of Secured & Unsecured Loan or Both types? The Form DPT-3 has to be filed both in case of secured as well as unsecured Loans. #8. What in case of ECB received by Company? According to the rule 16A of Companies (Acceptance of Deposits) Amendment Rules, 2019 DPT-3 has to be filed for all types of loans taken by Company. Hence, it also includes External Commercial Borrowings or ECB. Companies have to mandatorily file e-form DPT-3 for all types of loans. #9. Which period loans shall be covered under Form DPT-3? All Outstanding receipt of Money or Loan pertaining to 1st April 2014 to 22nd January 2019 shall be covered under the e-form DPT-3. #10. What if Company has received a loan from Holding or Subsidiary Company? As discussed above, the form DPT-3 is supposed to file for all kinds of loan received by Company. Hence, in case a Company has received a loan from a Holding or Subsidiary Company or Associate company, it has to file e-form DPT-3. #11. What if a company not having any outstanding loan as on 22.01.2019? Since all Companies have to file e-form DPT-3 for outstanding receipt of money or loan not considered as deposits, hence there is no need to file e-form DPT-3 if no outstanding loan is there as on 22nd January 2019. #12. Whether outstanding loans before 01.04.2014 also covered under DPT-3? The e-form DPT-3 is to be filed for outstanding loans of a company. Hence, if a loan was due before as on 1st April 2014, and is still outstanding in Company’s record, it has to be reported to ROC in e-form DPT-3. #13. What if loan received after 01.04.2014 but repaid before or on 22.01.2019? If a Company has already repaid its Loans before or on 22nd January 2019, then such loan is no longer outstanding in Company records. Hence, no need to file e-form DPT-3. #15. Whether form DPT-3 is to file in case of no outstanding loans? There is no need to file form DPT-3 if there’s no outstanding Loan or a company doesn’t accept any loan. If you need any help regarding Annual Compliance of Private Limited Company, feel free to contact us at 8881-069-069. What are the key elements of Annual compliance in case of a Private Limited company? What are the key requirements for Annual Compliance in case of an LLP?